Wake up early. Go to school. Do work. Come back home late after school. Stay up late to finish a PAK. Wake up after not getting enough sleep. Go back to school. Repeat. 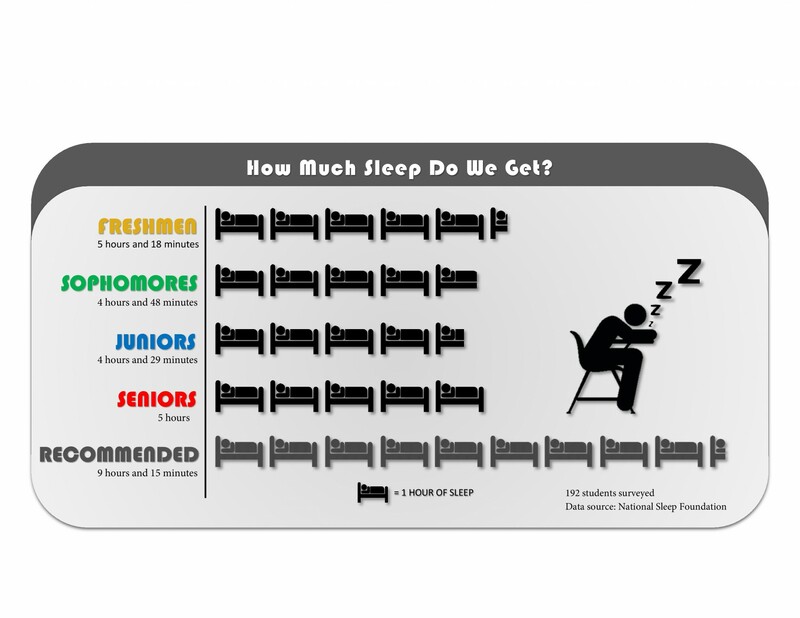 One thing Kerr students do not get enough of is sleep. And one consequence of not getting enough sleep is eventually forming unusual sleeping habits. Senior Taha Aslam says when he gets home, he needs sleep immediately; so he eats, then goes to bed for a long nap. “I sleep [at] around 4 P.M. and get up around 10 P.M. My brain does not function and my body needs sleep as soon as possible. I try to have a normal sleeping schedule but end up sleeping most of the day,” he said. A survey of nearly 200 Kerr students revealed that most students sleep very little at night, but like Aslam, many nap earlier in the day. The National Sleep Foundation recommends that teens get eight to ten hours of sleep each night, but only about five percent of the students surveyed said they get that much. Head Counselor Sara Tones said she and the other counselors are aware that many students stay awake late into the night to get their work done and the negative impact it has on students’ health. “We have been noticing the effects of sleep deprivation in students. These effects include both emotional and academic issues that could be better managed with more sleep. There has also recently been a lot of writing about sleep and college students, which mirrors some of the concerns we have here,” she said. Senior Maria Castillo has experienced the downsides of staying up late. Tones hopes that students will manage their schedule so that they can find time to get enough hours of sleep in.